On Friday night – the National Basketball Association will see a pair of teams that are likely heading to the postseason square off at the TD Garden. The Minnesota Timberwolves are on the road at the Boston Celtics. The Celtics are 31-10 on the season, which is the best record in all of the Eastern Conference. Boston is 17-5 at home this season and have won their last 4 games. For Minnesota – they are 24-15 on the season, and 11-9 on the road. The Timberwolves are coming off a loss on Wednesday to the Brooklyn Nets. The Timberwolves are 7-3 in their last 10 games. The Boston Celtics are -6 at home over the Minnesota Timberwolves on Friday night. The Boston Celtics played in a huge game on Wednesday night, beating the Cleveland Cavaliers at home. The Celtics have won four straight games over the Hornets, Rockets, Nets and Cavaliers. Boston is in first place in the Atlantic Division, as they are 2.5 games ahead of the Toronto Raptors. Jayson Tatum the Rooke of the Month in December. The Duke product scored 14.6 points per game and grabbed just shy of 6 rebounds per game. 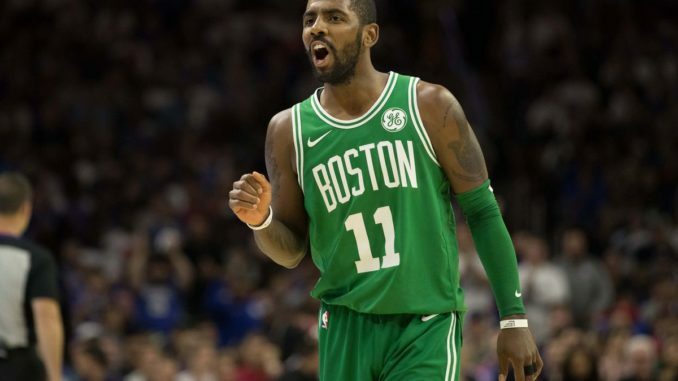 The Celtics top scorer this season has been point guard Kyrie Irving. He is scoring more than 24 points per game. Jaylen Brown is second on the team with just shy of 15 points per game. The Minnesota Timberwolves point guard position is a little banged up. Jeff Teague is out for a couple weeks, and in the loss on Wednesday – they lost Tyus Jones. Despite that, the Timberwolves are still in prime spot to make the postseason for the first time in a long time. Minnesota holds a 2.5 game lead on the Oklahoma City Thunder at the top of the Northwest Division. Jimmy Butler is in his first season with the Timberwolves. Playing for his former coach in Chicago Tom Thibeadeau, the shooting guard is scoring more than 21 points per game. Karl Anthony Towns is also having a monster season for Minnesota. The big man is scoring more than 20 points per game, and his 11.5 rebounds leads the team as well. The Boston Celtics are the better team, and the more well rounded team. The Celtics are also at home, which gives them a solid advantage in this game. Brad Stevens and his team are playing well, and look to win their fifth straight game. The Boston Celtics are going to beat the Minnesota Timberwolves at home in this game on Friday. The final bet for the Eastern Conference vs. Western Conference NBA affair is the Boston Celtics -6 over the Minnesota Timberwolves.